XiteLabs LA Phil 100th at the Hollywood Bowl from XiteLabs on Vimeo. 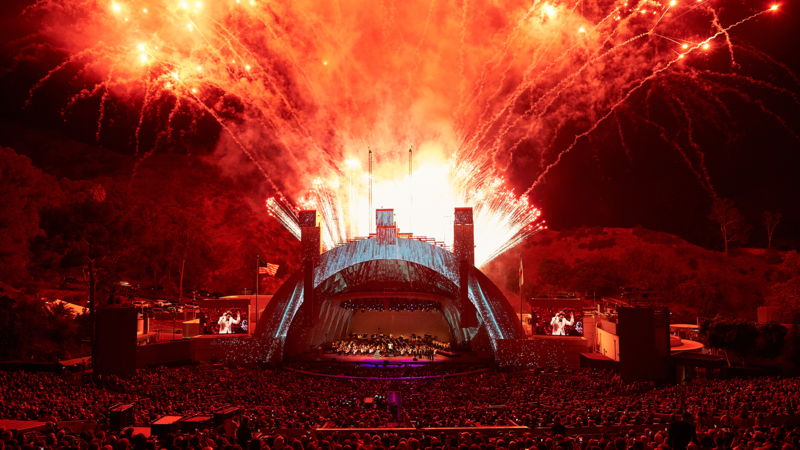 Xitelabs transformed LA’s Hollywood Bowl Theatre in celebration of the LA Philharmonics 100th Anniversary. 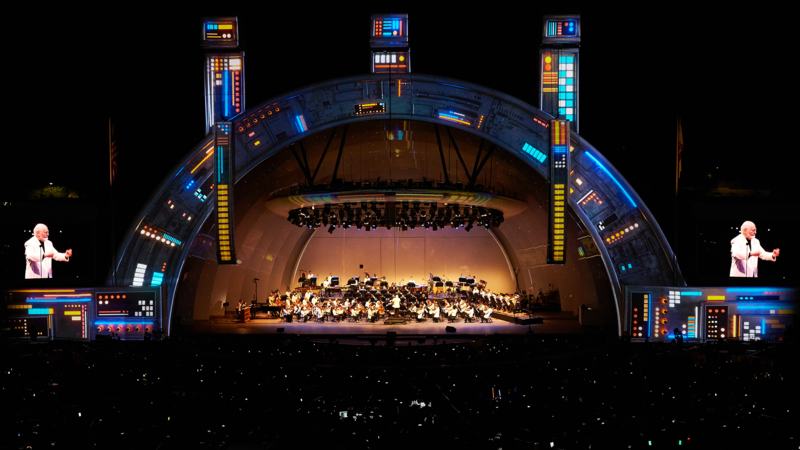 The Philharmonic played alongside artists John Williams, Katy Perry, and Herbie Hancock against spectacular, themed backdrops created by Xitelabs. Founders Vello Virkhaus and Greg Russell talk with us about the project and their new love affair with Notch. Xitelabs cover the abstract to the mechanical when it comes to live, experiential entertainment, and was founded by Vello, a self-professed art-school-rebel, and Greg, a content creator with a penchant for music and neuroscience. Individually they have twenty years of experience in the industry and together they are a dynamic combination of art and science. 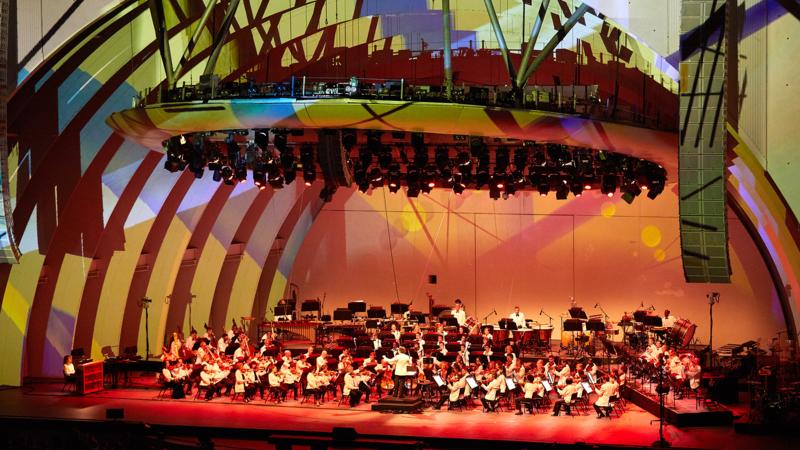 Xitelabs pitched their vision of dynamic, music-driven visuals to the LA Philharmonic. They wanted to incorporate themes of historic moments that have influenced music and culture since the birth of the LA Phil. Projections mapped to the Hollywood Bowl Stadium would transport the audience to moments in time and immerse them in the musical spectacle. 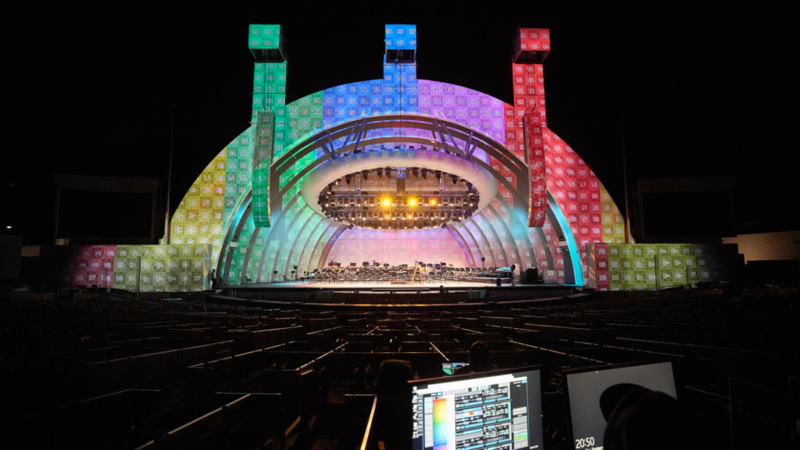 Pre-production began three months ahead of the live show, Vello, Greg and their team spent the first month setting up their Geometry and UV mapping for the Hollywood Bowl. Designing for the domed architecture of the Hollywood Bowl was their first obstacle. To pre-visualise their designs they created an accurate model of the Hollywood Bowl in C4D which they arranged into a UV configuration and laid out in a 4K raster in Notch. They used the same UV pipeline in their disguise media server. With less than a month before the live show, the Xitelabs team were still waiting on setlists for the night – their entire design concept was in flux. Having predicted a tight turn around from the start, Greg and Vello knew they wouldn’t have time to design a completely pre-rendered visual show, so instead they chose to create a portion of the show in Notch: “Our team had seen some other great projects being made with Notch and really wanted to work with it. We started to play around with the Notch software and found that it played nicely with our other software. We’ve been using Touch Designer for a long time but on a show like this where you don’t have months of time to write custom code, we felt real-time was the way to go. What was exceptional about Notch is how many features that are included in the engine in itself, you can create some really beautiful looks without having to create custom GLSL scripting. It was awesome how easy it was to import C4D assets into the software and create high-quality, gorgeous effects instantly”. Live on the night, eight separate audio channels from the orchestra were piped through Notch to influence and drive the show’s lighting and visuals. During the build-up to John Williams’ ‘Imperial March’, the orchestra moved from Pianissimo to Fortissimo, the audio channels driving the lighting in the stadium from darkness to dazzling light. Hearing the audience’s reaction was a ‘goosebump’ moment for Greg, “I could hear the audience erupting, it felt like we were at a rock and roll concert”. Kinect cameras captured data from the conductor’s hands as he leads the orchestra, this positional data was used to animate particle systems in Notch. During Katy Perry’s ‘Fireworks’, the conductor was quite literally conducting fireworks above the orchestra. 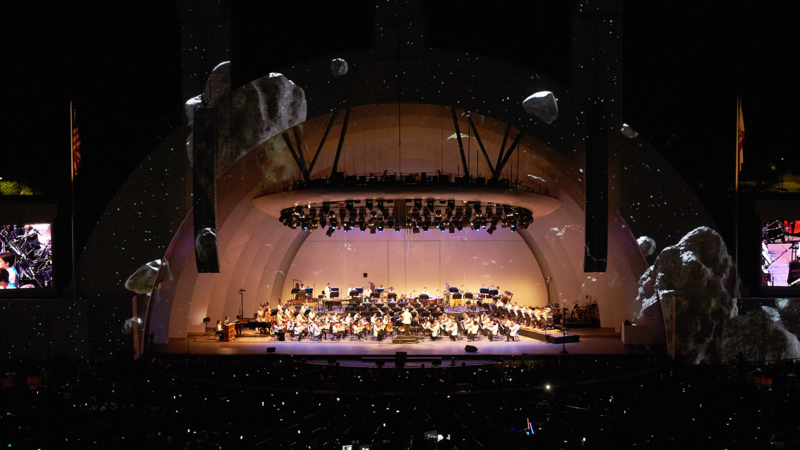 The LA Philharmonic was overwhelmed with the results, citing Xitelabs for having created seamless synchronicity between the orchestra and the visuals projected around them, and helping the LA Phil ‘celebrate in style’. According to Greg and Vello, “Seeing it come to life, watching it breathe and grow the day of the show was like standing at the end of a diving board and jumping off”.